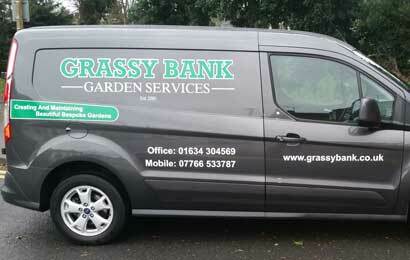 At Grassy Bank Garden Services we have a team of specialist professionals. No job is either too large or too small - we will guarantee you our personal attention at all times. 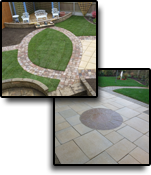 We can design and create any garden to suit your taste, from small patios and courtyard gardens, to water features and large scale landscaping. 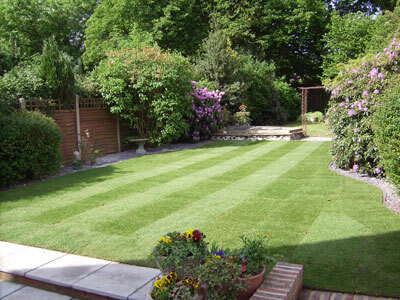 Following your call or e-mail, we will arrange to visit your garden, measure up and discuss with you various options. Our specialist garden designers will incorporate any particular features you would like included and then present you with a selection of designs covering a range of styles and prices to suit your needs and suggest a suitable planting scheme. We consult with you at every stage of the design and construction progress. At any time you will be able to make changes - after all you are the customer and at Grassy Bank Garden Services we never forget that the customer is always right, so we will never impose our views on you. We will also offer you a range of different materials to suit every pocket and will always use the best quality available, whatever the price range. Alternatively, you can leave the whole thing up to us and we will suggest the best type of design for your plot and budget. 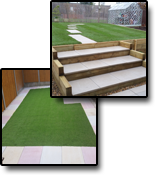 We will always keep within agreed budgets, so if you would like to transform your garden simply contact us.